This Sensory & Consumer Science Symposium is themed ‘Engage with the Future’ and is an opportunity for you to share, learn, be inspired, connect and participate in how our science will evolve in the future. Our society as a whole faces increasingly rapid change and is met with growing global challenges, so this Symposium looks to explore how sensory and consumer science can adapt and contribute to our fast evolving world. The 13th Pangborn Sensory Science Symposium will bring together leading pioneers and emerging experts in sensory and consumer science, from industry and academia, to give their views and perspectives on how our science will evolve, and how ground-breaking ongoing research and scientific learnings will impact on this journey. Importantly, we will embrace and showcase the future of our discipline with the inclusion of a new ‘Early Career Researcher’ seminar to specifically give a voice to our emerging talent to present and share their ideas on a global platform, something we feel Rose Marie Pangborn would most heartily approve of. 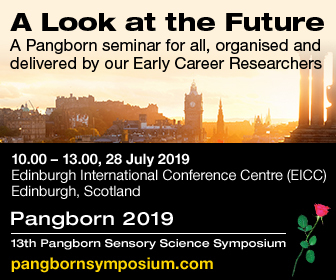 This new event, open to all, will be held on the Sunday morning prior to the official opening of the 13th Pangborn Symposium, giving us the opportunity to reflect on how we will connect and engage with our new talent and our new research in the future challenges we face. 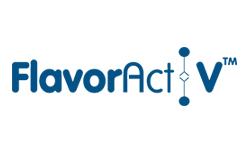 We look forward to meeting you in Edinburgh for a memorable experience that we believe will be an important milestone for sensory and consumer research in the years to come. As with previous events in the series a large exhibition will take place alongside the conference. View commercial opportunities here. The Executive Committee of the Pangborn Sensory Science Symposia is soliciting proposals for the 15th Pangborn Sensory Science Symposium that will take place in 2023. Proposals from all geographical regions will be considered. The Executive Committee will also accept proposals from a committee of individuals located in different geographical regions. They may propose to host the conference in any location of their choosing. It is the aspiration of the Executive Committee that the Pangborn Symposium maintain its status as the leading global conference in sensory and consumer science. The conference should be widely regarded as scientifically excellent, it should attract the best researchers to present their work and draw attendance from all major groups of participants (academia, research institutes, industry, research providers). For the Executive Committee a key criterion in deciding who will be the hosts of the 2023 conference will be demonstrated experience, vision and passion to fulfill this aspiration.